Dr Erin’s interest in dentistry began when she was young. While growing up on a farm, she had an accident involving a horse that cause severe damage to her front adult teeth. She credits her dentist at the time for restoring her smile and boosting her self-confidence, which made a huge difference in her life. This experience helped her realise she’d love to do the exact same thing for patients of her own one day. In addition to her dental passion, Dr Erin loves the film industry—she even holds a degree in film and previously worked in the business. She loves starting the day with a quick swim in the ocean, reading and hiking—one day she hopes to tackle Mount Everest. 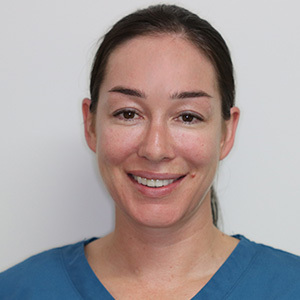 Get to know more about Dr Erin when you book your next visit with us!